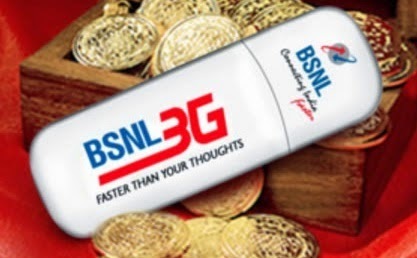 PAN India 3G Service provider Bharat Sanchar Nigam Limited (BSNL), has come up with an attractive 'Free 3G Data Offer' as 'Loyalty Gift' to all Prepaid Customers. Under this scheme, all prepaid customers will be given 50MB free 3G data along with Plan Vouchers and Top Up denominations Rs.100 & 200. '50MB Free Data scheme' is available to all prepaid mobile customers in all the telecom circles across India from 06.12.2014 onwards. This Free data has to be consumed within 30 days. The above tariff will be implemented with effect from 06.12.2014 across all telecom circles in India. This offer will certainly attract more attention among mobile subscribers especially those who haven't activated data offers in their number. Dear readers, please share your views and opinions regarding this new Free 50 MB Data Offer by BSNL.